Kitting out the kids ready for the new school year can be an expensive process, especially if you have more than one child of school age. After an expensive six weeks of summer trying to keep the family entertained, you may be wondering how you’re going to afford those back-to-school essentials. 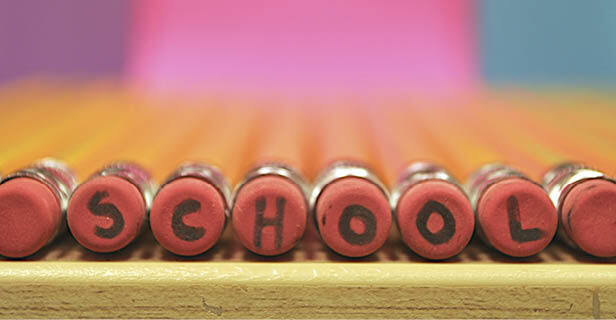 Most schools will send an ‘essentials list’ to parents before the start of the new school year. If you haven’t had one, it’s perhaps worth a call or asking other mums and dads. The school may require pupils to wear branded blazers and ties from a specialist retailer but they may not have any rules or regulations regarding where you get things like shirts, trousers or skirts from, opening up the potential for some bargain shopping. The same goes for stationery. The golden rule is to find out what’s essential, make a list and stick to it. If you have more than one child, it may be worth setting them a challenge, which can help you out at the same time. Give them a small list of essential school items and see who can find them for the cheapest price online. This is a fun, simple way to encourage youngsters to start thinking about budgeting and a great way to keep them busy in the final weeks of the summer holidays. We all know how quickly children grow out of clothes and more often than not, you’re left with a perfectly good bundle of items that no longer fit. Rather than binning them, think about selling the clothes online and use the proceeds to purchase all of the new garments you need. High street stores are putting a lot of effort into building their green credentials at the moment and there are a number of schemes around that you can benefit from financially. The H&M Long Live Fashion campaign is a prime example. For every bag of unwanted clothes or home textiles you hand over in-store, you’ll receive a £5 voucher to redeem next time you spend £30. It’s certainly worth doing a bit of research. Children love to be individual and stand out from the crowd, but as you probably know, fashion stationery can be quite pricey. To be truly unique, why not encourage your kids to make their own stationery. We’ve found guides to making everything from pencil toppers and pencil cases, to satchels and personalised notebooks. You can find a whole host of ideas here. Follow these steps and you’ll soon have a first class degree in thrifty school shopping. Let us know how you get on.